Coaches need to assess strength with a reliable way without letting technical matters and sometimes safety get in the way of maximal efforts. Force plates are extremely useful systems for evaluating numerous sport science endeavours but, unfortunately, cost thousands of dollars. Isometric testing is valid, reliable, and very practical (Great presentation HERE) to use in team settings but rigs and racks are sometimes expensive as well. Therefore, a low-cost solution that is easy-to-use and accurate would be of great use for clubs or facilities where budgets are smaller. In a short investigation using 8 male subjects, the researchers compared a Force Plate (Kistler) with a commercial grade hand scale that you can buy online for under $200 USD. In order to see if a scale could be used as a replacement to force plates or conventional load cell, they constructed a custom apparatus that could assess an isometric mid-thigh pull with both a Crane Scale and force plates. They set-up the system with a Pull-down bar from York Barbell and integrated the force platform into a custom box that enabled a concurrent measurement. After a few trials of maximal effort isometric mid-thigh pulling, the data was collected and analysed for comparison. The Crane Scale was tested to evaluate the accuracy of loads at incremental points up to 210 kilograms. 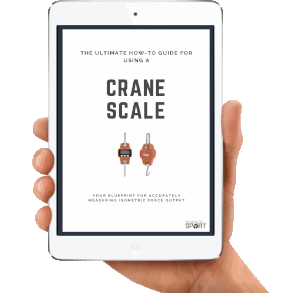 Based on the data collected and the statistical breakdown, it appears that a commercial hand scale, particularly the Crane model used, was reliable enough to be used for a crude indicator of isometric strength. The statistical analysis comparing force plate data and crane scale data was strong enough for the authors to conclude that the commercial hand scale solution was acceptable for testing purposes. While the Crane Scale was inexpensive, the authors recommend comparing it with devices that are known to be accurate or perhaps already validated. Similar to traditional isometric mid-thigh pulls, performing 3-5 trials is recommended with the scale method to extract a better score that properly represents the athlete’s ability. In addition to the obvious data calibration to the scale, the system should follow the recent guidelines proposed by the experts in isometric mid-thigh pull testing HERE. Having an adjustable chain for various body types is also better than a cable, as it’s faster when adjusting length in large group testing environments. Based on the findings of the research, the authors conclude that this device/setup can be used to accurately perform portable isometric pulling tests. Due to the isometric test being simple and safe, using a crane scale as a portable and inexpensive measure of maximal force is a promising option for coaches/facilities with lower budgets. Any coach that has a limited budget should see the results of the experiment as an entry point into maximal strength testing. Something to consider, however, is the sampling rate of a load cell (i.e. 1000 Hz), as the rate of force production is especially important and can’t be done with a Crane Scale. Still, the use of a crane scale is great for adjusting band tension with accommodating resistance and using it for other estimations of force such as sled loads. Want more research reviews like this? Every coach understands the importance of staying up-to-date with the latest sports performance research like this, but none have the time, energy, or even enjoys spending hours upon hours searching through PubMed and other academic journals. Instead, your precious time is better-spent coaching, programming, and managing all the other more important aspects of your job. This comprehensive topic base ensures you’re constantly expanding your knowledge and accelerating your career as quickly as humanly possible. The reviews are also hyper-focused, 1-page summaries, meaning there’s no jargon or wasted time. We cut right to the chase and tell you what you need to know so you can get back to coaching. 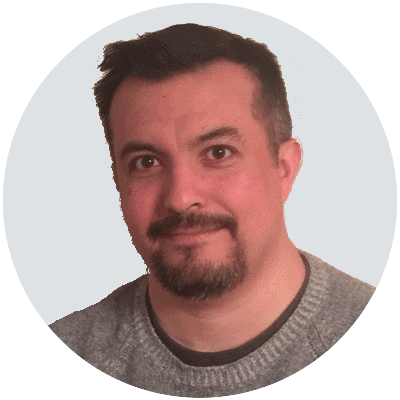 Carl is currently the lead sport technologist for SpikesOnly.com, and focuses his time on testing elite athletes and using technology to maximise human performance.